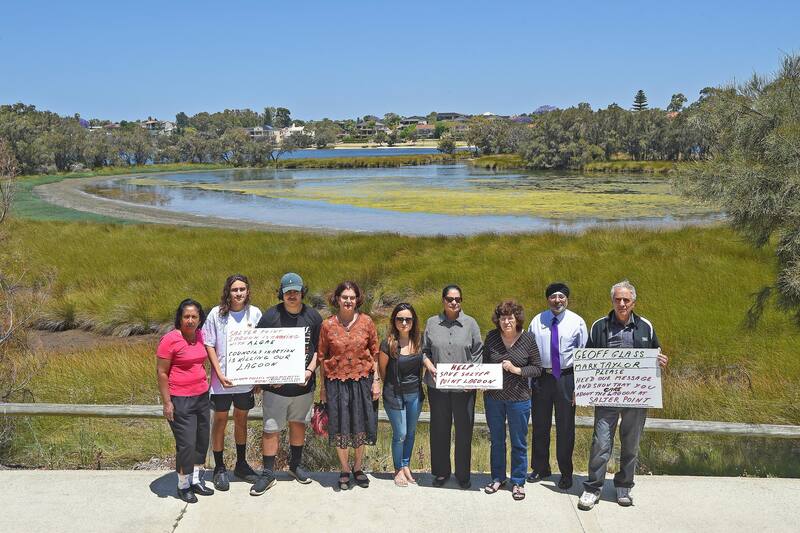 A GROUP of Salter Point residents are calling on the City of South Perth to take action to help fix the health of a lagoon in their neighbourhood. The residents are concerned with the amount of algae in the Salter Point Lagoon, which they say is getting worse. Salter Point resident Sukhwant Singh said the health of the lagoon had progressively become worse in the last five years and it was worse than ever this summer. “The issue is that the mouth of the lagoon, which leads into the river, has a build-up of sand and silt,” he said. “In winter there is a reasonable flow but in summer it becomes stagnant and the algae builds up. Mr Singh said that as the lagoon was a natural body of water, he believed it was worth fixing. “At the moment you can’t miss the algae and birds can actually walk on the lagoon because it’s not as deep as before,” he said. “We’d like to see the council dredge the mouth of the river and see if that can help. “When it’s full of water and the algae isn’t a problem, then the lagoon is beautiful. City of South Perth chief executive officer Geoff Glass said the council would not consider dredging the mouth of the lagoon. “Salter Point lagoon is a healthy natural wetland that changes its condition to adapt to seasonal changes,” he said. “Salter Point lagoon forms part of the Bush Forever Site 333 that is classified as a high priority conservation area, therefore the City undertakes all required works to comply with State Government requirements.